Well, it’s because I know that screenwriters are really NOT that interested in learning about lenses, self-distribution, or social media marketing. They want to get into the craft and business of screenwriting and storytelling. I found that IFH Tribe members that wanted to learn about screenwriting would have to wait until I had a screenwriting guest. With The Bulletproof Screenplay Podcast, they can get a fresh episode every week dedicated to the craft and business of screenwriting. I’ll be grabbing some of my past screenwriting themed interviews and re-publishing them here but I’ll also be adding brand new content as well. I already have a bunch of amazing guests lined up for the podcast. So if you’re fan of the IFH Podcast you should definitely subscribe to the BPS Screenwriting Podcast as well. That’ll be THREE FRESH EPISODES of content every week. Yes, I’m crazy but I’m crazy about providing the best content I can to the IFH Tribe and helping them on their filmmaking and screenwriting journeys. You can download the screenwriting podcast to your computer or listen to it here on the blog. This podcast feed is listed on iTunes, Spreaker, and Stitcher, so you can subscribe there as well. Also, please leave an honest review for The Bulletproof Screenplay Podcast on iTunes! Ratings and reviews are extremely helpful and greatly appreciated! They do matter in the rankings of the show, and I read each and every one of them. Welcome to the bulletproof screenplay podcast episode number. one There’s nothing to writing. All you have to do is sit down at a typewriter and bleed. Ernest Hemingway broadcasting from a dark windowless room in Hollywood when we really should be working on that next round. It’s the bulletproof screenplay cast showing you the crafted business of screenwriting while teaching you how to make your screenplay bulletproof. And here’s your host Alex Ferrari. Welcome. Welcome to the first episode of the bulletproof screenplay. Thank you so much for checking this podcast out. It has been a long time since I’ve started. Podcast for those who don’t know I am the host of the indie film hustle podcast, which is the number one filmmaking podcast on iTunes and I decided to launch a brand new podcast that is dedicated strictly to screenwriting in the craft of screenwriting. Now, I covered a lot of uh screenwriters and I had a lot of screenwriting episodes on my original podcast, which will still be going on of course, but I heard from a lot of screenwriters out in the indie film hustle tribe. That they’re like look we love the podcast but we really don’t want to know about self distribution. We really don’t want to know about the latest cameras. We really don’t want to talk to a DPS or listen to DPS. We’re about the craft of screenwriting and helping our screenwriting get uh move forward. So I decided to kind of create an entire new section of the indie film hustle world called the bulletproof screenplay. And there you will find uh, the bulletproof screenplay podcast, you will find uh, just a huge resources of uh screenplays that you can download and read from all the Oscar winners to Oscar nominees to breaking down collections by your favorite writers directors and your favorite screenwriters as well. We will also be focusing on the latest and greatest courses online courses to help you on your path as a screenwriter covering everything from uh, the heroes. Any with Michael Hagen Chris to uh, the business of screenwriting with August Rush screenwriter Paul Castro to the definitive screenwriting course taught by head of screenwriting at UCLA Richard Walter. 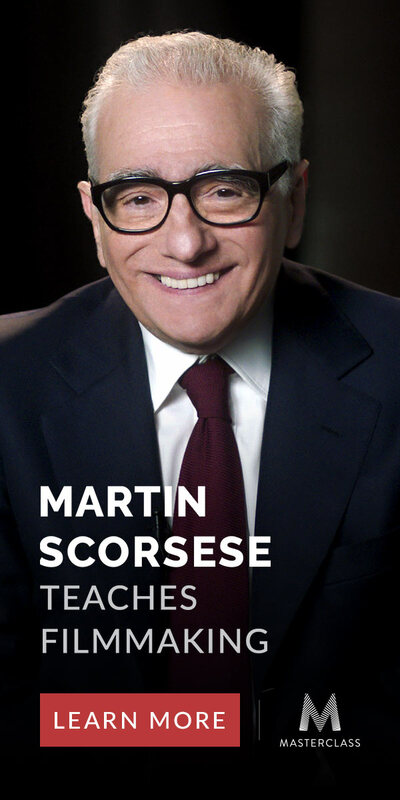 To how to pitch a screenplay in 60 seconds all sorts of different courses and we’ll be focusing on new courses coming out like the Aaron Sorkin Master Class. Um, the Sonia Rhymes masterclass talkin about television writing which will be covered in this podcast as well will also have access to free online education videos that you can watch for free at the website from some of the best instructors in the world and suggestions on what the best books are to read about the craft and all. Articles will be written about screenwriting storytelling and so forth will come out through bulletproof screenplay. I really wanted to put together an immense resource for screenwriters and storytellers out there. So I hope you really enjoy what we’re doing at bulletproof screenplay. Now, we will be publishing one new episode a week and that’s in addition to the two episodes a week that I do on the indie film hustle podcast. So right now it looks like we’re going to be doing Wednesday’s for the bulletproof screenplay it might vary. Pending on my schedule and how busy I might be at the at that time but it will be at least once a week. We’re going to launch with five episodes. So you have a bunch of great content to start off with and then after that we’re going to do once a week bulletproof screenplay. You can find everything you want to know about bulletproof screenplay at bulletproof screenplay, which will lead you back to indie film Hustle, but it will be under the bulletproof screenplay Banner there and there you will find everything and if you do want to explore more and go into. Avenues of the filmmaking process it’s all there for you as well. But at the bulletproof screenplay, uh, especially here at the podcast. We’re really going to focus on the craft now. I am a writer director. I have written a few movies as well and screenplays. I am by no stretch in expert about the craft. I am learning something new every day and this this podcast, uh, what you can expect from this podcast is interviewing the best Minds on the craft of. Writing and of Storytelling and you’ll be in I’ll be interviewing, um professional screenwriters successful big-time screen writers who’ve done big big movies as well as some of the best authors on storytelling and the craft of screenwriting that is available in the world today people like Michael Hague Chris Vogler. Linda Seeger and many more as well as bringing on story Consultants people who work within the Hollywood System people who work in the indie film world as well. So we’re gonna just cover the whole Gambit of budgets and styles of screenplays and stories because someone who does uh does movies in the Indie world and writes in descript’s meaning like for two million dollars or below it’s going to have a completely different perspective than someone who right. Big blockbuster movies of 80 million 200 million tentpole movies and then there’s that happy medium somewhere in the middle where it’s like 5 to 20 million dollar budget scripts as well. So we’re going to talk about the business of screenwriting and really break down how to make it as a screenwriter how to get an agent, um how to get seen how to get your film red. We’re going to talk about pitching your film pitching your ideas, um contest what kind of contest are worth it which aren’t how to kind. Break into the business. We’re going to cover all of that during the course of this podcast. Now a lot of interviews. I’ve done on the indie film House of podcast. I’m going to bring over here and introduce it to this new audience, but I’m going to be adding new interviews all the time. Best-selling author. John Trump is going to be one of our first big guests that we’re going to have on as well as bringing in big screen writers that we have Sundance winning screenwriters, uh that I have lined up as well. So even if you’ve listened to a bunch of this stuff over at indie film hustle, there’s going to be brand new content in this podcast as well. So it’s just a nice addition to uh, if you subscribe to the indie film also podcast do so. You should subscribe to this one as well because you’re going to be getting brand new content. In this podcast as well and guys on a side note. Um, you can one of the reasons I wanted to put this podcast out is I really want to help as many filmmakers and screenwriters as humanly possible. When I started in the film hustle. I really didn’t know how many screenwriters were going to come or people were interested in screenwriting we’re gonna come because I was coming more from a production standpoint, but when I start interviewing these amazing storytellers and uh, Craftsman screenwriters were really started to be drawn to the. So I really want to create something special for screenwriters and even directors and filmmakers who want to learn more about the craft have it in a place where it’s just strictly screenwriting because it is such an important part of the entire filmmaking process without a good script without a good story. There is nothing you can no matter what kind of camera you have no matter how much money you have if Justice League taught us everything I bash on that movie a lot but it deserves to be bashed on. I’m sorry. Um, but. No matter what you have it all comes back down to the page. It all comes back down to the story and I really want to explore that with you guys. And as I continue to grow in my career as a filmmaker and a screenwriter, I will be sharing those Journeys with you on this podcast as well. And this is not just a one-way Street guys. I want you to feel comfortable to email me ask me questions. Request things because I want this to be a resource for you for all the screenwriters and people interested in screenwriting out there in the world and you can always reach me at bulletproof screenplay at gmail.com. If you got questions, I’ll do the best. I can I answer them I get a ton of emails. So I’ll do the best I can but if you have any suggestions, if you have any questions, you want answered on the show, um people who you want on the show. If you have any recommendations, please send them that information. I greatly greatly appreciate it. And if you want to subscribe to the bulletproof screenplay podcast on iTunes just go to screenwriting podcast. There is no one way to write a screenplay and there’s no one way to tell a story and we’re going to explore every Avenue every kind of style every kind of Technique we can because I want you to find the right one that works for you and your sensibilities to tell the best kind of story that you can do and make no mistake about it. You have a story to tell. You have that screenplay in you. You have to get it out don’t die with the music in you and I hope that this podcast inspires you as well as educate you along this along this path that you have chosen to be a screenwriter and to be a storyteller. In today’s world, we need stories more than ever. We need good stories. Good films. Good books. Good just screenplays God. We need good screenplays to get out into the world because we really need and you never know. What your screenplay what your story how it will affect somebody else out there. You never know what it’s going to do to somebody’s life and how it might Inspire them or change the course of their life for the better. So don’t ever underestimate your story don’t ever underestimate what you were put here to do as a storyteller. When you write write with intention, that is the best kind of stories out there right with intentions don’t change don’t chase the dollar. Don’t try to be the next big big screenwriter and try to make the big big tent pole. You can do that if you want, but right with intention because that is what’s going to take you to the next level. All right. I hope you guys really enjoyed this podcast and please share and tell everybody, you know about it. Uh, if you like it and please leave me a good review on iTunes because we’re brand new podcast. So every review counts, even if you left me a good review on indie film hustle. I need you to leave me a good review on this one so we can get this podcast out to as many people as humanly possible and as always keep on riding no matter what. I’ll talk to you soon. Thanks for listening to the bulletproof screenplay podcast at bulletproof screenplay.